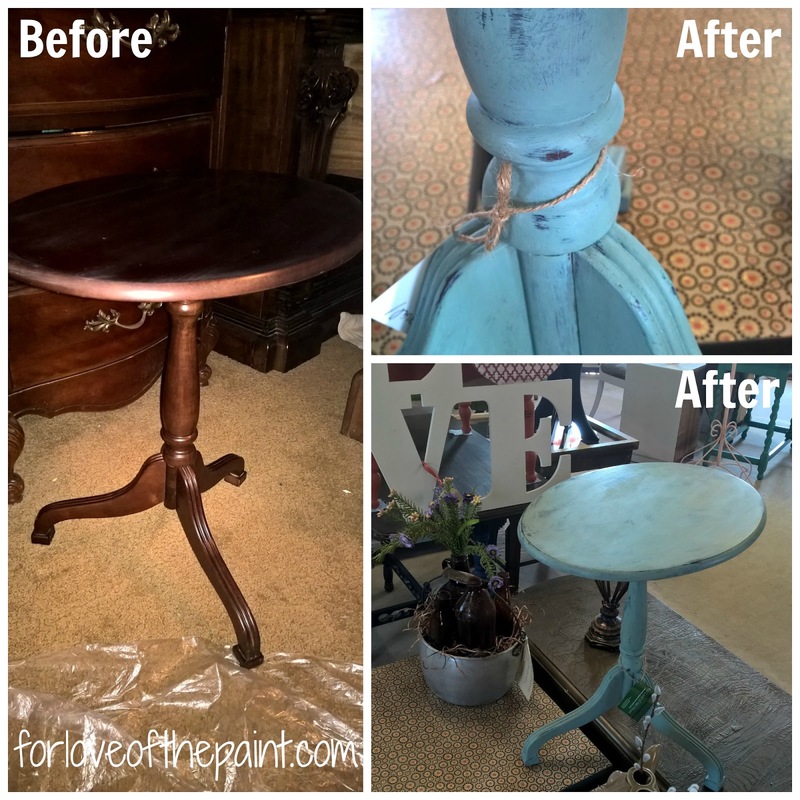 This super adorable Bombay accent table was a fantastic estate sale find! I wasn't sure exactly what to do with it, so I held on to it and eventually decided that it was such a sweet shape, Annie Sloan Chalk Paint in Duck Egg would be perfect to put on and distress for a gorgeous shabby chic project! I love to have small pieces around to refinish when inspiration strikes - mostly when I am working with a color on a larger piece as well :) In this case, I have a custom desk refinish in progress, and the client requested that we put Duck Egg in the drawers. It is such a beautiful blue/green/grey color! I just love the distressing on the beautiful carved detailing! I used clear and dark waxes to really accent the shabby chic finish. It looks perfect to go next to a reading chair in a country cottage!